Residency is an important topic for many students and their families because it determines whether you pay resident (in state) or non-resident tuition and fees. In addition to the General Residency Guidelines, see the Residency FAQs for more information. 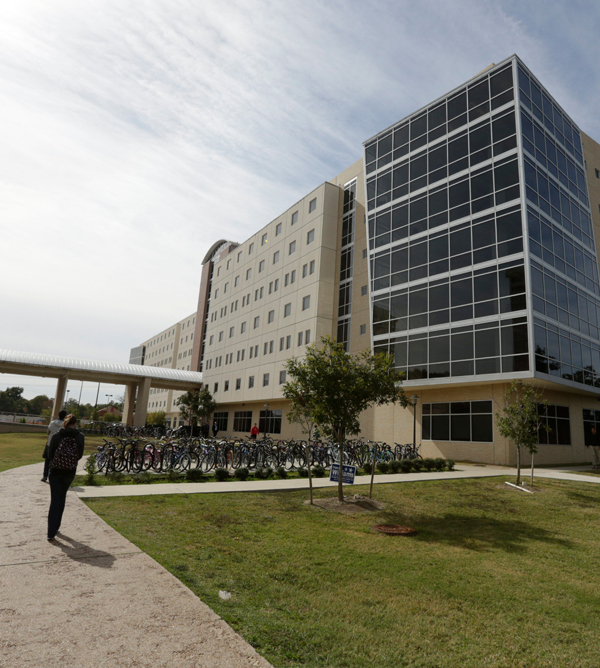 Independent students who have resided and established domicile in the state of Texas for 12 consecutive months may be eligible for Residency Reclassification. Dependent students may base residency on a parent or court-appointed legal guardian. The parent or court-appointed legal guardian, however, must have resided and established domicile in Texas for 12 consecutive months. Residency for tuition purposes may not be based on a spouse. Marriage in Texas, if maintained for 12 consecutive months, may be used as support when submitted with documentation to support that spouse is a domiciliary of Texas. When applying for a Residency Reclassification, please submit a completed and signed Residency Questionnaire, and required supporting documents as listed on the questionnaire (Revised Chart IV). If you are basing residency on a parent or court-appointed legal guardian, please submit documents pertaining to the person that residency is based on. Failure to submit supporting documents will result in a delayed decision. Generally, students holding F-1 visas are not eligible to be considered Texas residents for tuition purposes. Due to the nature of the F-1 visa, F-1 visa holders are not eligible to domicile (see list below) and do not qualify for a resident classification. However, if a student with an F-1 visa also has an application for permanent residence (1-485 application) pending with United States Citizenship and Immigration Services (USCIS), the student may be eligible to have their tuition charged at the resident tuition rate. The general requirements for establishing Texas residency will apply to these students. Students on visa types that are eligible to establish domicile in the United States may be eligible for Texas residency. The general requirements for establishing Texas residency will apply to these students. Click to view the Visa Types Eligible to Establish Domicile. In accordance with USCIS, "An individual who has received deferred action is authorized by The Department of Homeland Security (DHS) to be present in the United States, and is therefore considered by DHS to be lawfully present during the period that deferred action is in effect." The general requirements for establishing residency will apply to these students. Questions may be directed to residency@uh.edu. Texas statutes grant that an individual who resided in Texas for the 36 consecutive months leading up to his/her graduation from a Texas high school or receipt of a GED and continued to maintain a residence in Texas for the 12 months leading up to his/her enrollment in an institution of higher education may be classified as a resident for tuition purposes regardless of dependency or immigration status. Any individual wishing to qualify under the 36-month provision must submit a signed and notarized affidavit to the Office of the University Registrar. Individuals also must submit an official high school transcript/GED certificate with graduation date and scores to the Office of Admissions. Questions may be directed to residency@uh.edu. For a list of waivers and exemptions, please visit the College for All Texans website. You may also visit the Office of Student Business Services (Bursar) in the Welcome Center (corner of Calhoun Road and University Drive). You are responsible for registering under the proper residency classification. If there is a question on classification, you are responsible for raising the issue with the appropriate administrative officials. You may register for classes before a residency decision has been made. Once a residency decision has been determined, tuition bills are automatically recalculated and can be viewed through myUH. New students who have questions about residency should contact the Office of Admissions in the Welcome Center or they may submit questions to residency@uh.edu. Former and current students who have completed their first semester should contact the Office of the University Registrar (Registrar) in the Welcome Center or call (713) 743-1010, option 4.